When was the last time you saw something extraordinary in the ordinary? Mindfulnessis about nurturing awareness in the moment, seeing rather than looking. 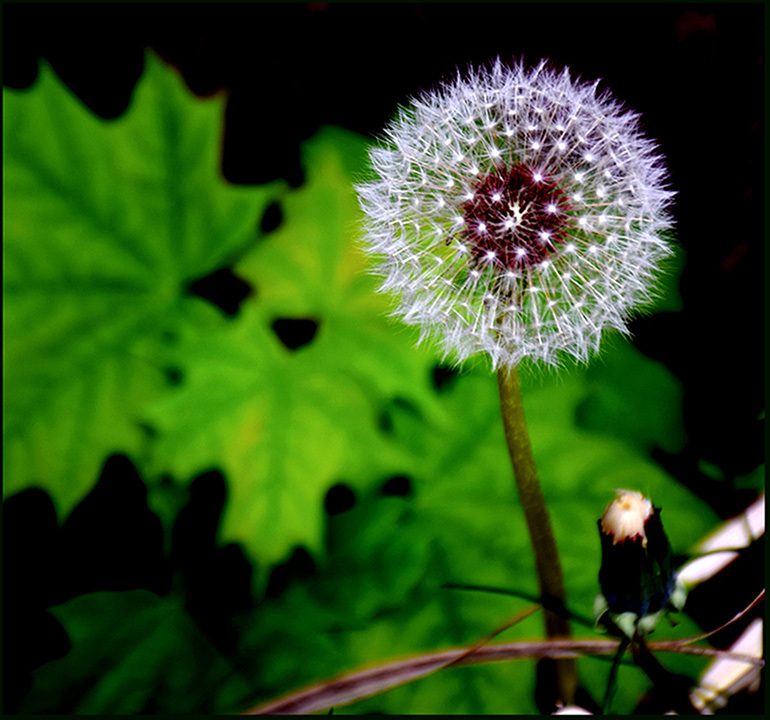 You’re freed to find peace and joy in things that are usually shadowed by noise and clutter.Photos may uncover the commonplace, like a dandelion weed. Notice the delicate patterns, the dark red interior, the green leaves frame. For a moment, suspend past and future. Take a deep breath and breathe in the simple, graceful calm of present.